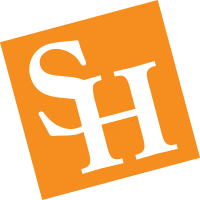 Sam Houston State University has an attorney on staff dedicated to advising currently enrolled SHSU students about their legal rights and responsibilities. This service is available to students seeking counsel prior to signing or entering into a legal relationship, as well as those who may be in the middle of a controversy, assuming they are otherwise unrepresented by counsel. SLMS is the recipient of the prestigious 2016 J. Raymond Schiflett III Award for Outstanding Office of the Year by the University Student Legal Services Association-Western Region. View other awards that SLMS has won SLMS Awards. The majority of our advising is in one-on-one consultation, reviewing individual concerns, discussing the potential legal issues and providing information on next action steps/solutions. Make an appointment today! Student Legal & Mediation Services is available to speak on legal issues, or recommend other expert speaker, for student organization meetings and classes. Student Legal & Mediation Services also offers mediation. This is a fast, economical, and confidential way to resolve disputes. If all parties agree, we can provide mediation for student to student, as well as student to group disputes. Limited notary services are available free of charge for current SHSU students, faculty and staff. 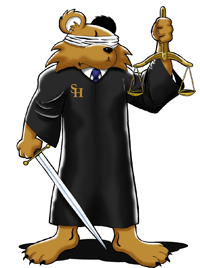 Student Legal & Mediation Services will provide currently-enrolled SHSU students with a background report where they can check for identity theft and other issues. All matters presented to Student Legal & Mediation Services are confidential. No communication is disclosed without the student's signed consent or as required by law. Information provided at this site does NOT constitute legal advice. It is intended for information and educational purposes only. Every situation is unique, and if you need specific legal advice, please consult an attorney. Our ability to keep the information contained at this site updated and the accuracy of the information cannot be guaranteed. Neither the downloading of materials nor any communication constitutes the formation of an attorney-client relationship.